is an action that guides or directs a group towards common goals. How are non-cognitive skills important leadership qualities? This guide uses the leadership definition, style and research defined by the National Outdoor Leadership School (NOLS). NOLS does not specifically focus on non-cognitive skills, yet most leadership traits rely on a mastery of these non-cognitive skill sets: (a) growth mindset, (b) autonomy, (c) self-discipline, (d) resilience and (e) self-worth. 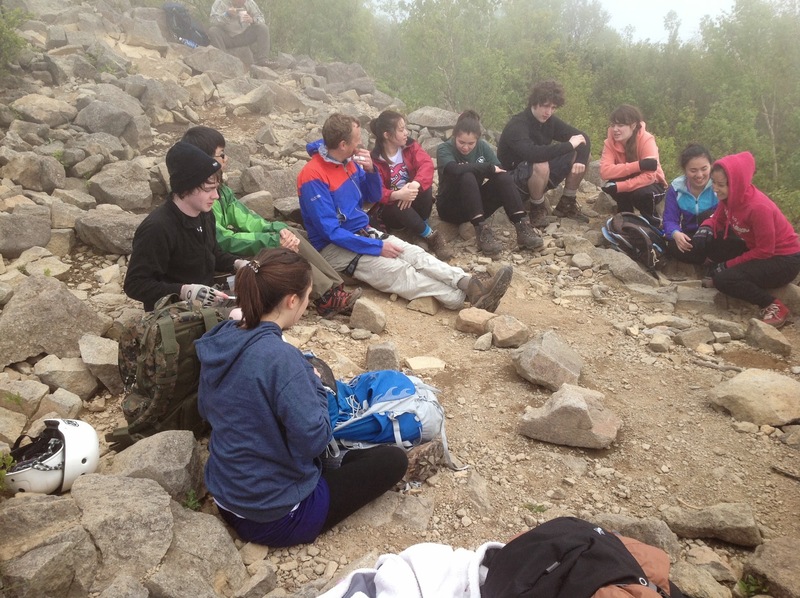 Discussing resilience within rock climbing. This guide enhances any outdoor leadership program (OLP) by explicitly working on non-cognitive skills while developing leadership traits. The OLP course is ideal for students who are ready to practice or begin to fine tune leadership styles, skills and expertise. As seen in the chart Clusters of 21st-Century Competencies objectives, leadership skills are highly ranked within a student’s 21st Century skill set-needs. The non-cognitive aspects of leadership are the most important traits of a successful person, participant and leader. Self-awareness, the center of the NOLS Integrated System of Leadership, requires a high level of meta-cognition that corresponds with a high level of non-cognitive skill mastery. 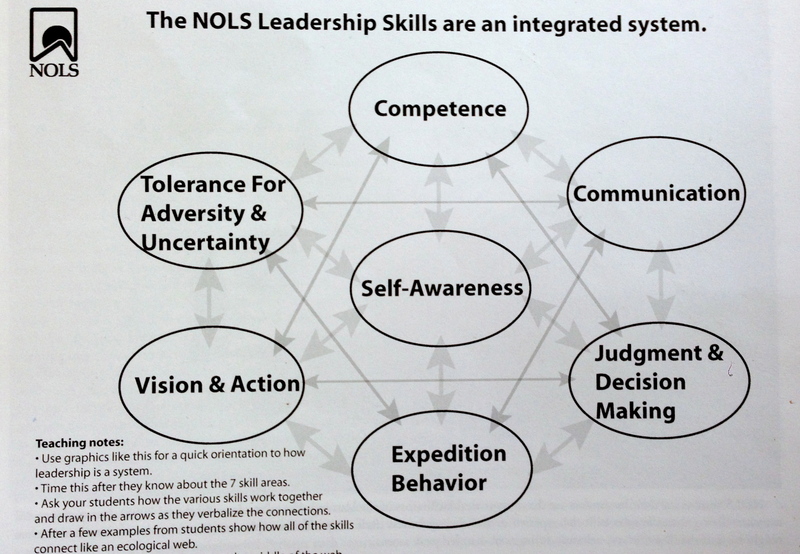 The NOLS integrated system relies on multi-intelligence theories, learning styles, emotional intelligence, ability to resolve conflicts and drawing upon past personal experiences. Non-cognitive skills are essential to a student’s ability to achieve long-term goals and persist through obstacles encountered in school and life outside of school (Shechtman et al., 2013). NOLS Leadership Skills. Source: NOLS leadership educator notebook (2009). Please click on non-cognitive skills for more information. Self-awareness: Understanding abilities, limitations and learning needs. Competence: Set goals, make action plans and follow through. Communication: Speak up when appropriate, be silent when appropriate. Judgment & Decision making: good judgement. Consider all experiences, resources and information for positive results. Expedition Behavior: Do your share and stay organized. Vision & Action: Create an inspiring environment for the group to strive for their full potential. Tolerance for Adversity & Uncertainty: Learn to endure, attempt to enjoy hard work, challenge and failure. National Outdoor Leaders school Instructors discuss the integrated leadership system.